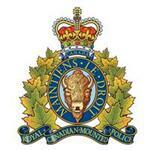 RCMP Pincher Creek - On March 3, 2017 at approximately 10:06 pm RCMP stopped a vehicle driven by Starzyk in Pincher Creek. He was arrested for breaching his curfew condition. A search of his vehicle located a small amount of what is believed to be cocaine as well as drug paraphernalia. RCMP Pincher Creek charged Dewey (Todd) Starzyk age 53 with one count of breaching his recognizance and one count of possession of a scheduled substance. He is scheduled to appear in Pincher Creek Provincial Court March 7, 2017. Background: On February 8, 2017 RCMP Pincher Creek arrested and charged Dewey (Todd) Starzyk, age 53 with multiple offences in relation to a shots fired call at his residence in Pincher Creek. Starzyk was taken into custody after a stand off with the RCMP Emergency Response Team. He was released by a Justice of the Peace with numerous conditions.